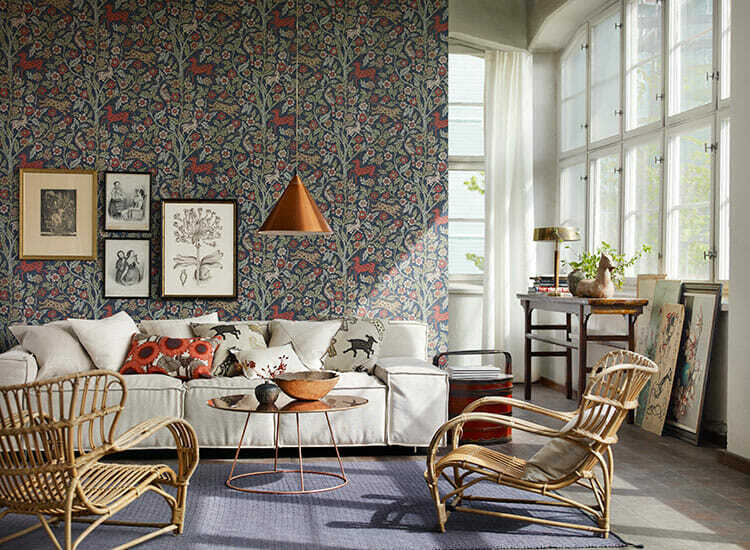 With today’s tremendous options, the choice of designer wallpaper and the way it’s used influences the overall decorative scheme in a big way. 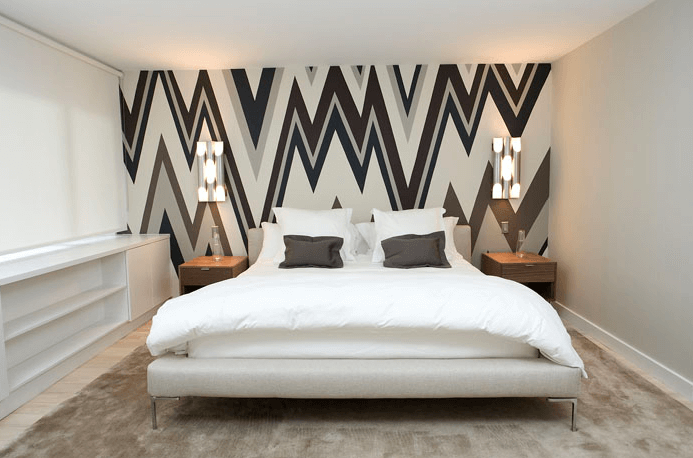 Below are the top ways wallpaper enhances any room design. 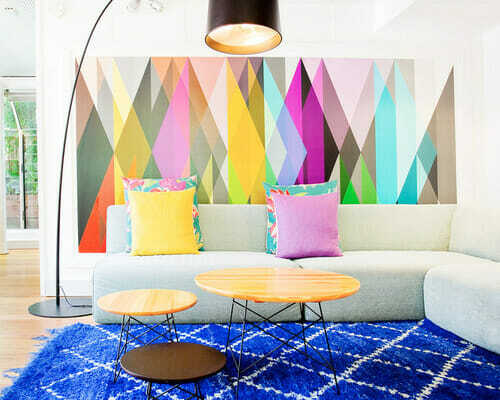 While wall color encourages mood, designer wallpaper design does this and a bit more. Visually, it offers a direction towards a particular style. A damask print perfectly denotes a traditional bedroom just as a honeycomb one does for a contemporary dining room or an ikat one for a global style living room. 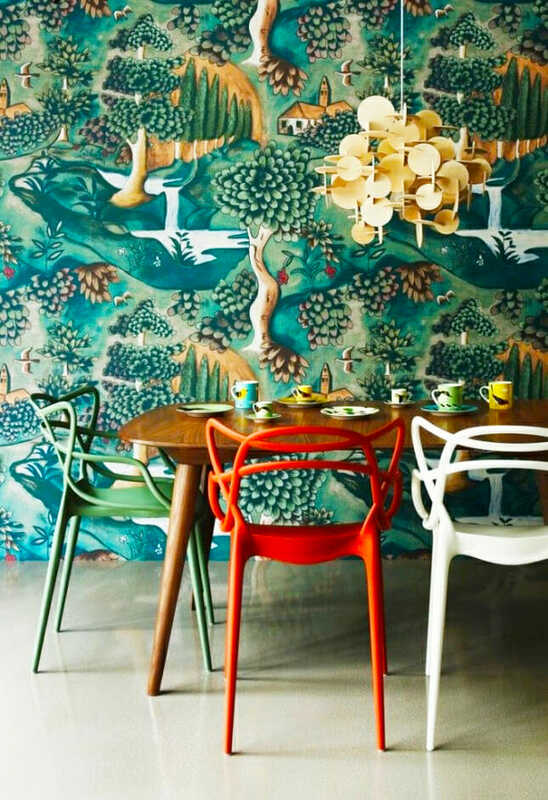 By Decorilla Designer Eleni P.
This forest mural in a small New York studio design is a great way where a wall covering expands space in a beautiful way. 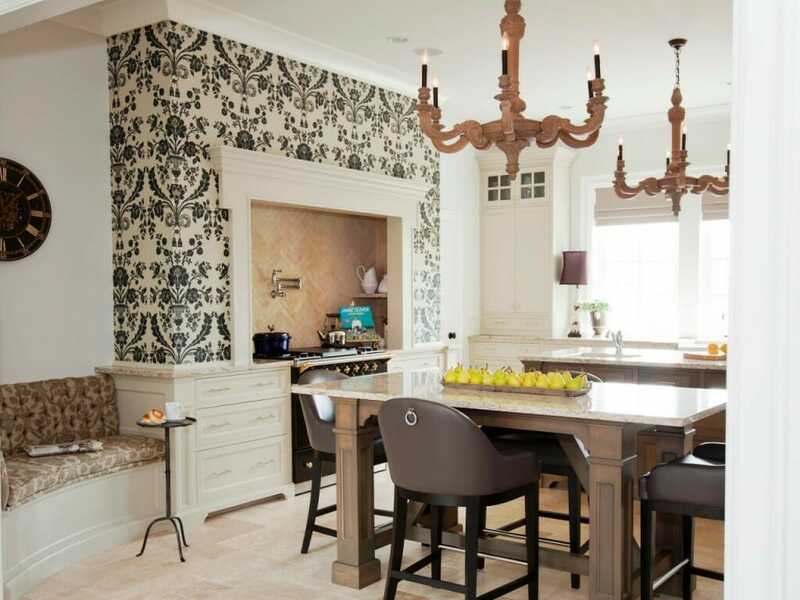 Whether bold or subtle, wallpaper is sure to make a style statement. 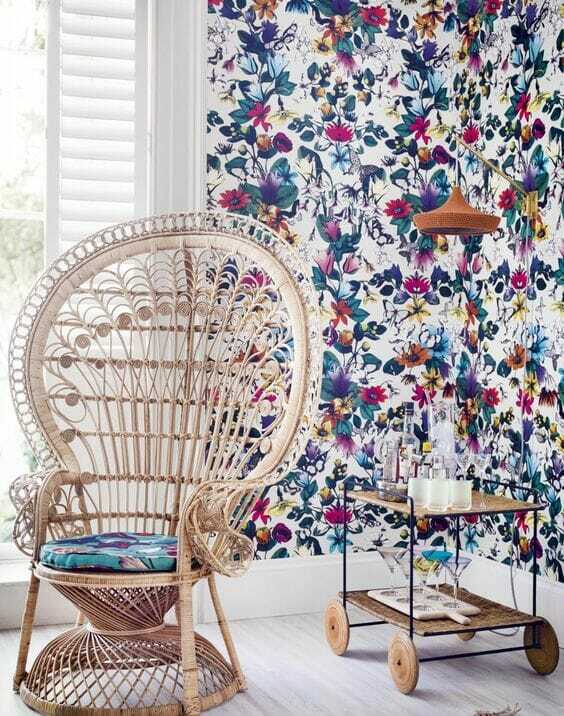 Without having to invest in expensive art or lighting, designer wallpaper is a great way to enhance a room design with a bit of dramatic “wow!”. 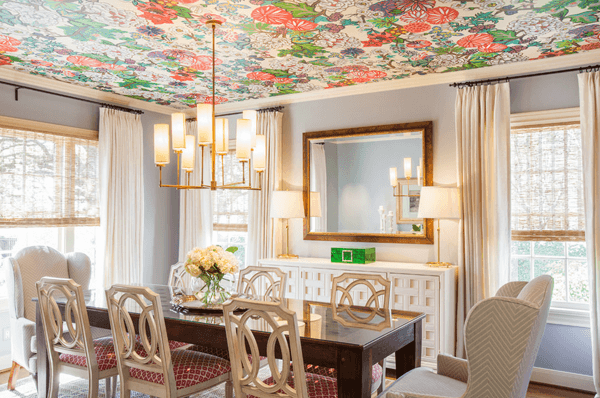 Whether a marbleized pattern with shimmering gold splashes or a whimsical forest motif, wallpaper can really wake up a space through color and art. Let’s not over look doors as surfaces with covering potential. 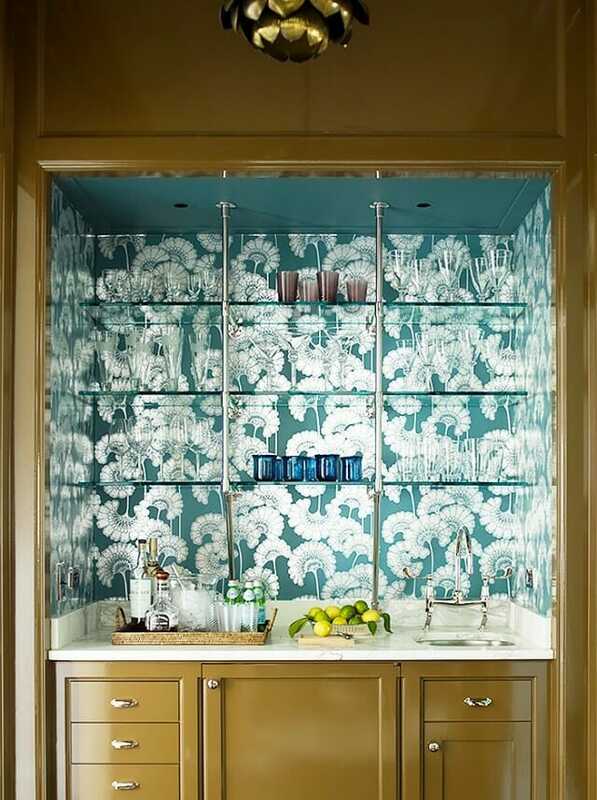 Get creative by using wallpaper on door panels for a varied look. And those outdated sliding mirrored closet doors? 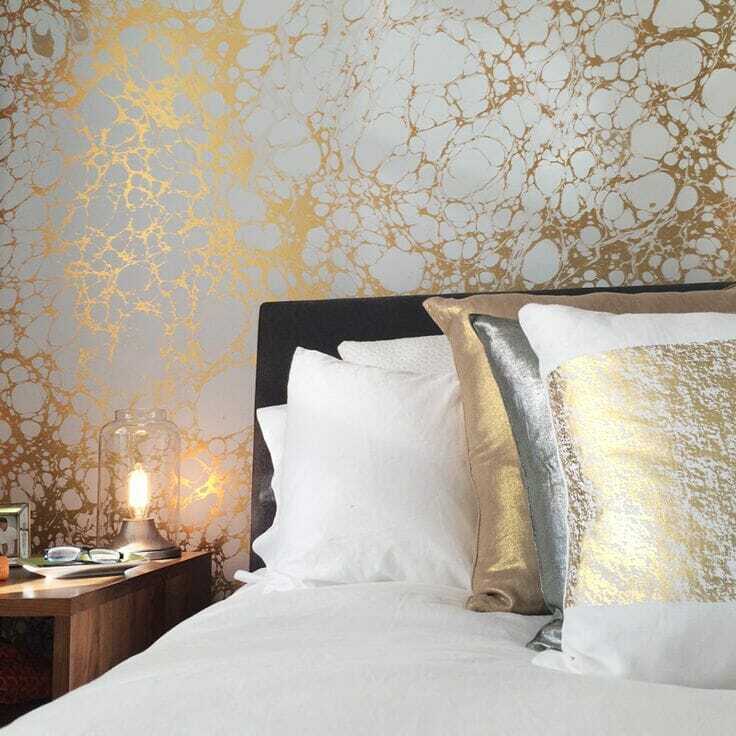 Cover them with removable adhesive wallpaper like this orbit small metallic one as a modern alternative. 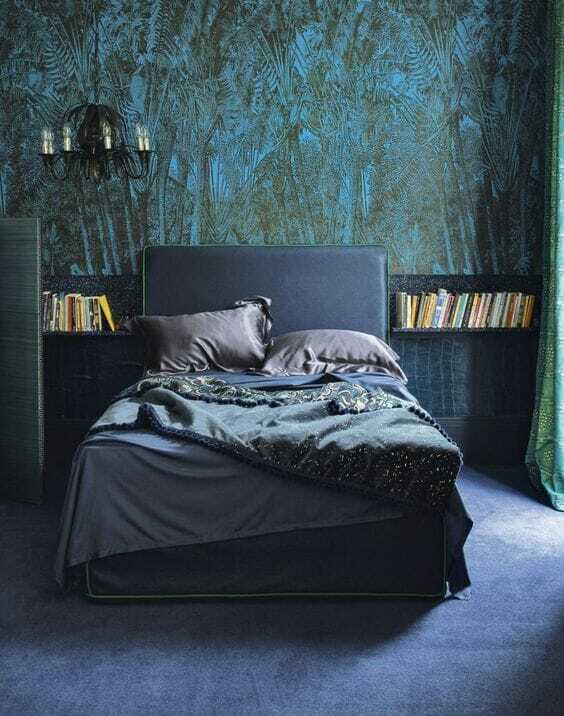 Adding an element of nature is not limited to placing a lovely fig leaf tree in the corner. 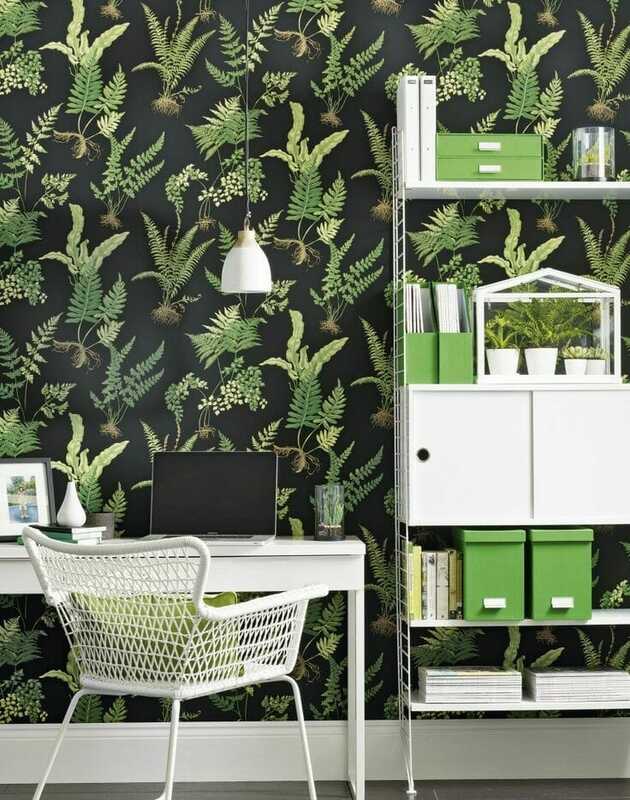 Floral prints can evoke a colorful spring garden in the living room while a verdant fern pattern gives the home office a sense of calm. 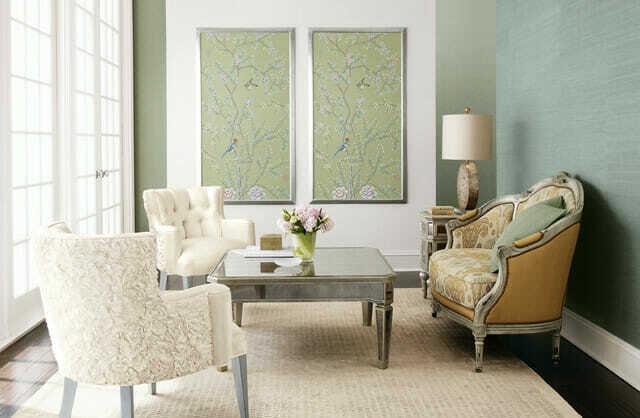 A favorite designer wallpaper, Seascape by Abigail Edwards, offers movement to any space. 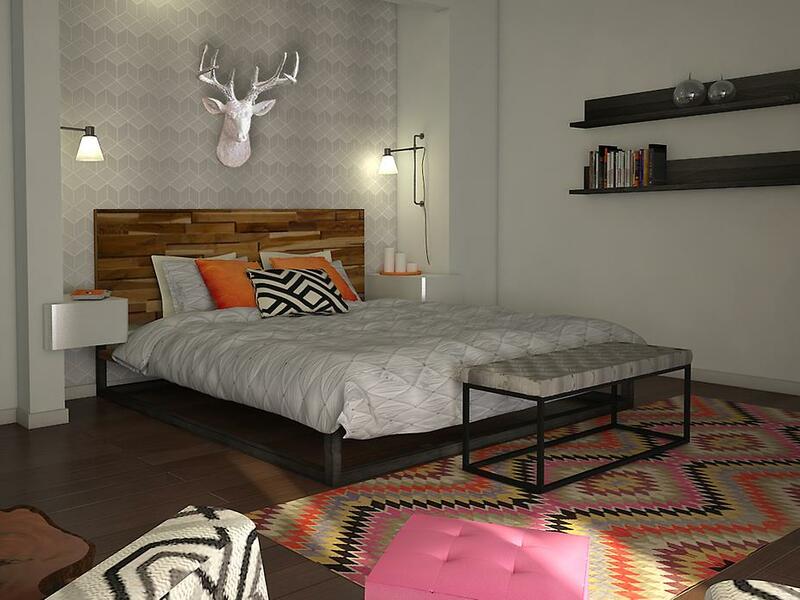 By Decorilla designer Christine M.
Accent walls play a key role in enhancing a room design. 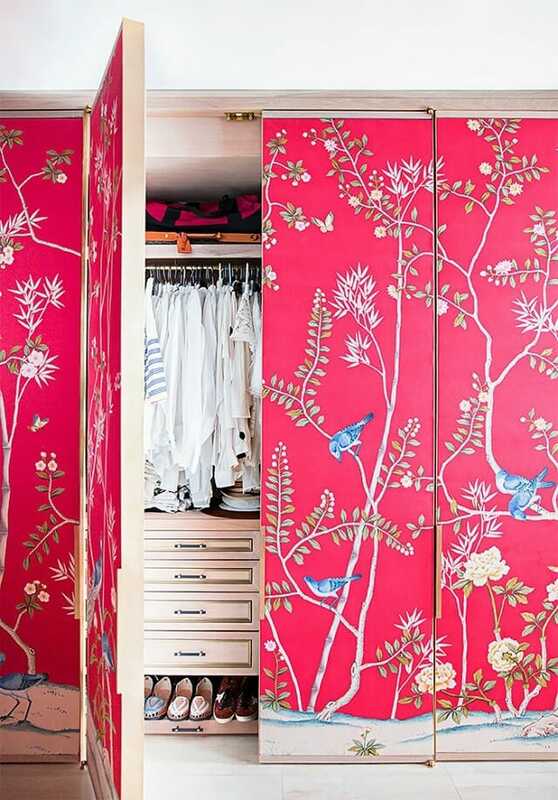 Offer another layer of color and pattern wallpaper on a prominent wall, a niche, or chimney wall for added interest. 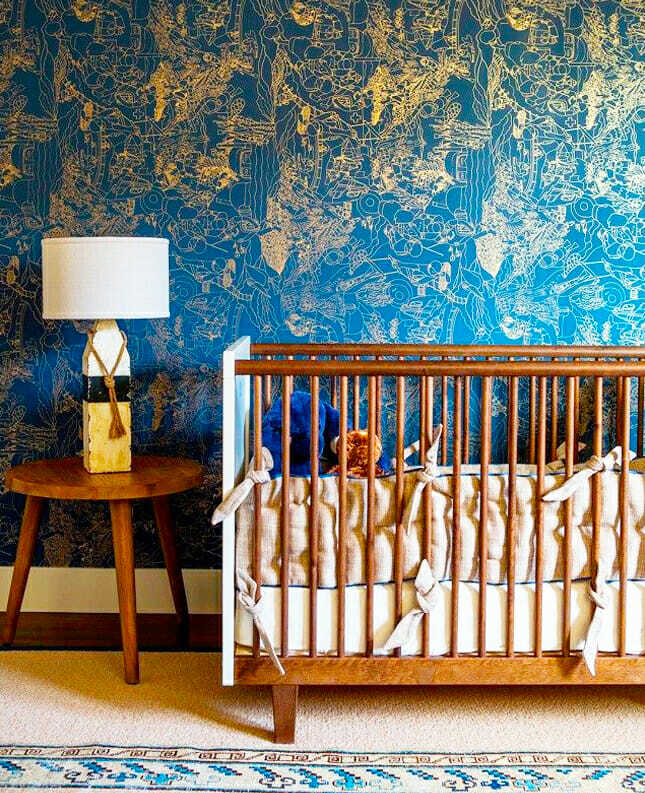 Textured wallpaper goes above and beyond with another design element added. Feeling bold? 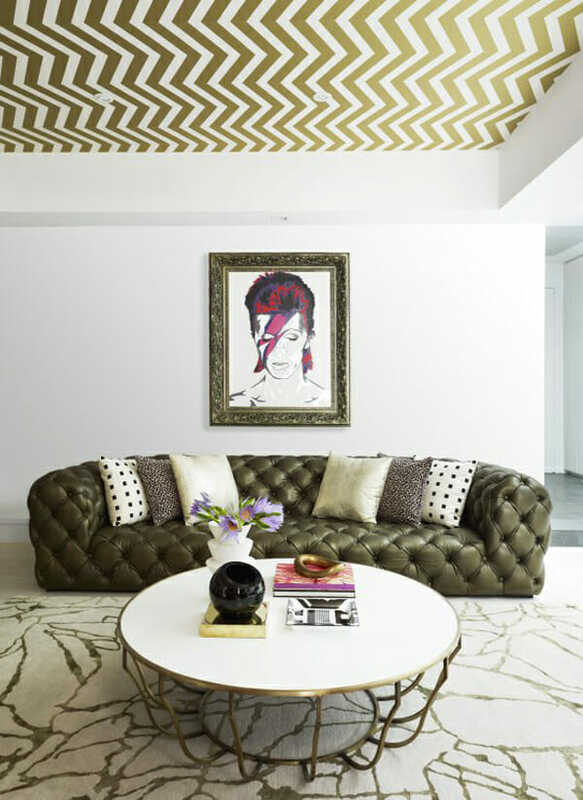 Wallpapering the 5th wall, the ceiling, can be just the thing to completely change the feel of a space. 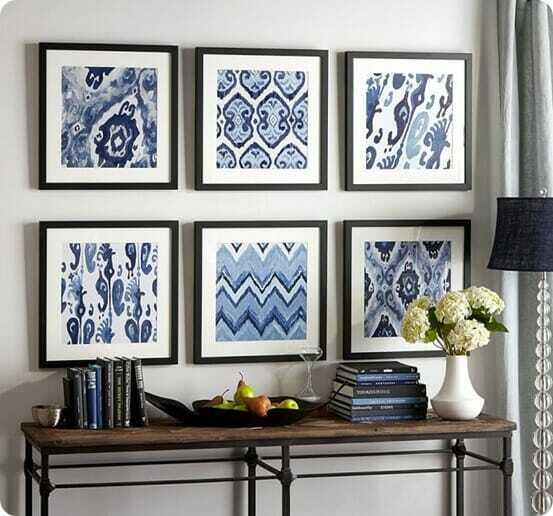 For more ways to add wall design, check out this post on how to create the perfect gallery wall. Written by Creative Design Expert, Christine M.